Marseus van Schriek depicted forest plants and animals with both scientific precision and mysterious, poetic overtones. 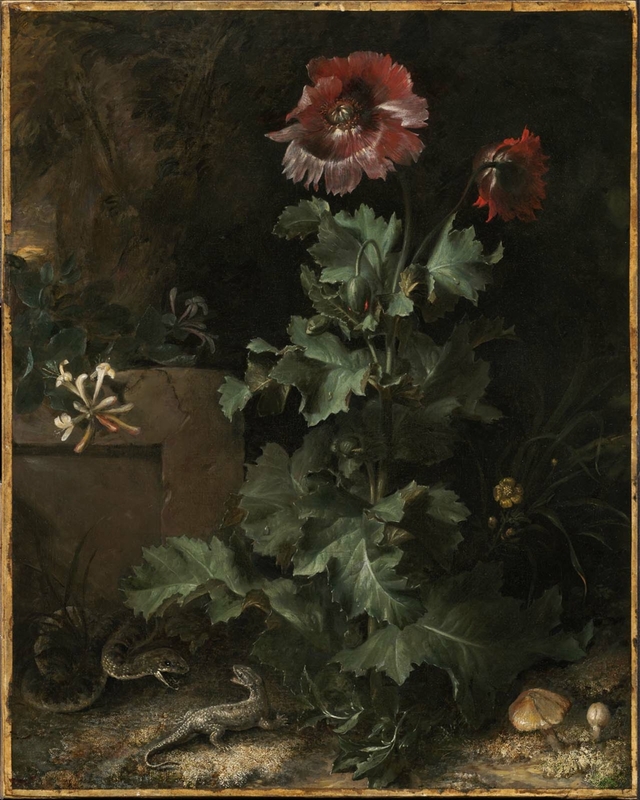 Here, a snake and a lizard face off beneath a strange and seemingly gigantic poppy, a flower associated with sleep, night, and opium-induced hallucinations. A contemporary noted that the artist kept a menagerie of snakes and lizards with which he appeared to share a remarkable emotional rapport.